Rather than ruffling feathers with last year's driver-acclaimed redesign of the company's flagship coupe, BMW kept perhaps its greatest gem a secret—well, one of its largest gems anyway. 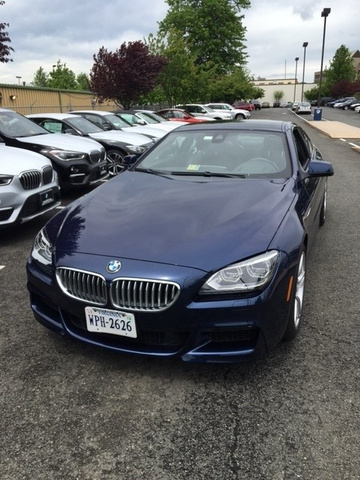 Introducing the 4-door 2013 BMW 6 Gran Coupe, good for 4+1 seating and nothing less than precisely the same driving experience as the 2-door versions. The gas-sipping 640i will be the first to arrive, followed closely by xDrive all-wheel (AWD) and an upgraded engine for just the 650i Gran Coupe entry. Aside from the lack of a manual transmission and 4 extra inches end to end, the 2013 Gran Coupe is functionally indistinguishable from its convertible and coupe cohorts. With a few tweaks to its 4.4-liter V8, the 650i Gran Coupe performs with just as much pep—if not more, given its boost of 45 hp and 30 lb-ft of torque—and though the 640i's 3-liter V6 carried over unedited, its Gran Coupe managed to come in under the coupe's curb weight to maintain the same performance bar. Zip to 60 for a 640i still takes 5.3 seconds across the board, and whether it's a coupe, convertible or Gran Coupe, the 650i still makes it in under 5 seconds. 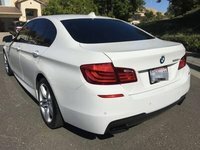 The coupe and convertible carry over into 2013 exactly the same, with the 640i relegated to strictly rear-wheel drive (RWD) but getting 21 mpg city/30 highway in an automatic-equipped coupe or Gran Coupe. The convertible fetches 4 fewer miles on every gallon for its added heft, and the optional 6-speed manual for the RWD 640i and 650i models (excepting the Gran Coupes, of course) shaves off another mile with the same premium fuel. Otherwise an 8-speed double-clutch automatic is the norm, and though BMW hasn't released specific figures, the company does expect the Gran Coupe to be just as conservative on fuel. The Gran Coupe is expected to conform to the existing 6 Series line inside the cabin as well, with the 640i and 650i differing only in engine size, wheels and seat adjustment, although those 19-inch wheels and 16 ways to front-seat comfort are optional for the 640i as well. Feature highlights include parking sensors, power-folding mirrors, a large moonroof, rear-view camera, front passenger and driver's memory functions, and iDrive electronics interface with a 9-speaker sound system complete with all the trimmings. The convertible additionally features heat-reflecting leather upholstery, a powered soft top and an independent rear glass window. Outstanding options include the famed 360-degree-view side and top cameras, infrared night vision, a head-up display, lane departure warning, a power rear sunshade, ventilated massaging front seats, heated seats and steering wheel, and a heavy-hitting 16-speaker Bang & Olufsen sound system with iPod/USB and satellite radio connectivity. As for safety, of course BMW loaded up the 6 Series with the expected active head restraints, front-seat side airbags, front knee airbags, traction and stability control, BMW Assist and antilock brakes all around, but those brakes also feature advanced standby and drying technology, helping the 4,200-pound convertible stop from 60 mph in just 111 feet. 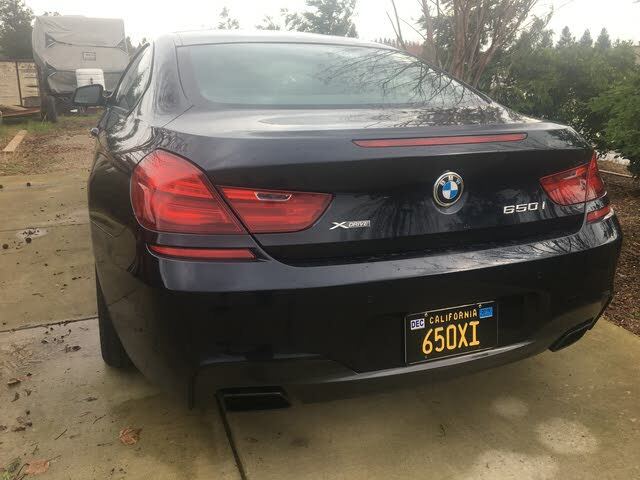 If you ever wished you could have the best of both worlds—the thrill of a sports car with the floaty comfort of a contemporary sedan—the 6 Series has a perfect marriage waiting for you, and it will only cost about as much as getting those two cars separately. Having turned the design page, the competition will be hard-pressed to follow BMW's act now. What's your take on the 2013 BMW 6 Series? Users ranked 2013 BMW 6 Series against other cars which they drove/owned. Each ranking was based on 9 categories. Here is the summary of top rankings. 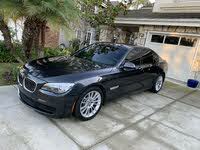 Have you driven a 2013 BMW 6 Series?